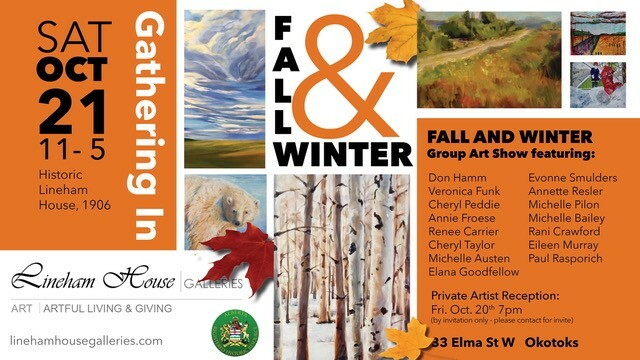 Inviting you to gather in Okotoks at the Lineham House Galleries. Join me and other local artists Oct 20 @ 7pm at a Private Artist Reception . If interested, please contact me to be my guest for this evening.